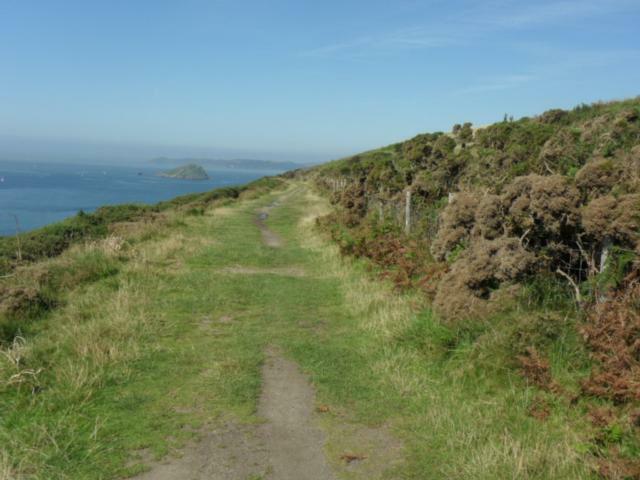 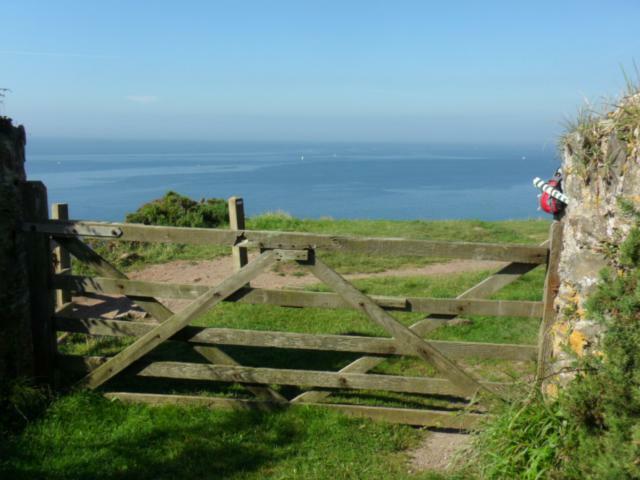 A South Devon coastal walk with panoramic views of the wild open sea and rugged coast leading to a sheltered estuary. 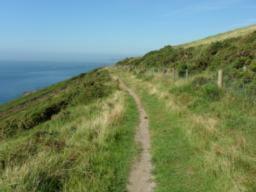 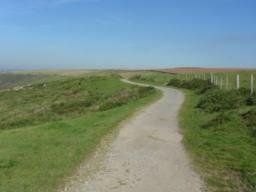 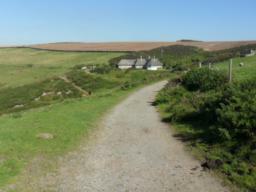 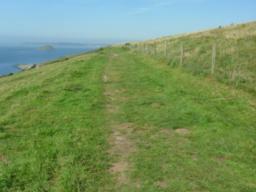 The coast path is predominantly flat, wide and even with no sizeable gradients. The surface is mostly stone - both rolled and compressed. There are areas of grass. 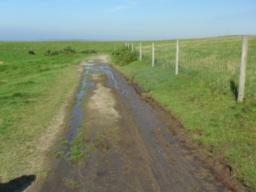 One area may be muddy after wet weather. 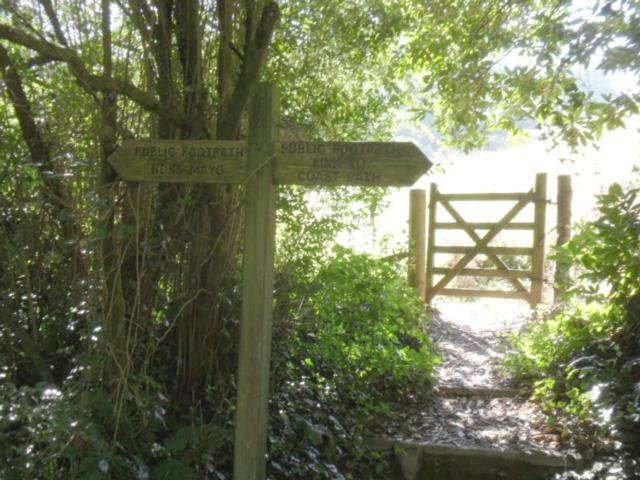 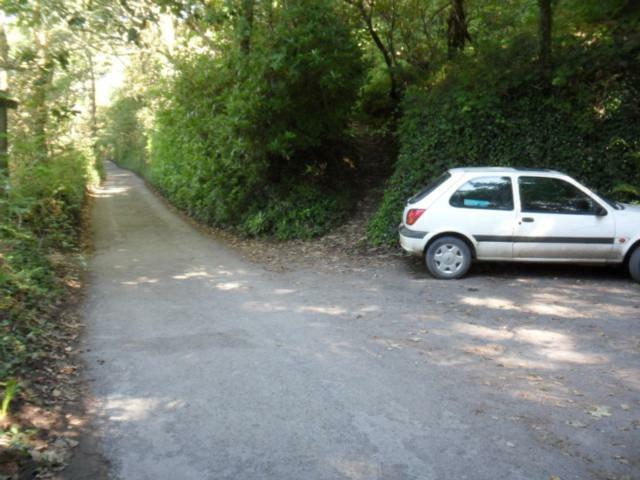 Car Park: National Trust - Warren Car Park (pay by donation). 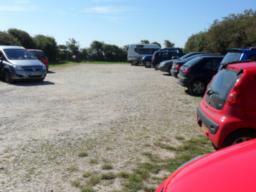 The car park is often full in holiday season and at weekends. Toilets: The nearest toilets are at the creek inlet near the Ship Inn in Noss Mayo. 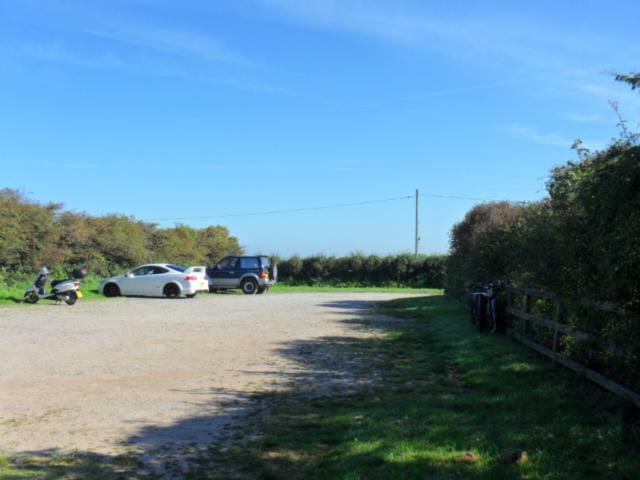 The Warren National Trust Car Park - payment by donation. This car park can be full in holiday season and at weekends. 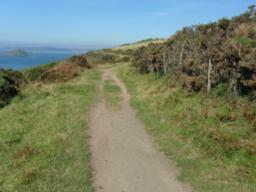 Picture looking towards the coast. The Warren National Trust Car Park. 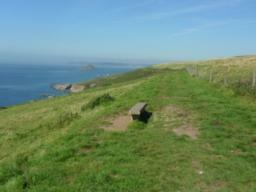 Picture looking away from the coast. Car park entrance and exit is at the far right corner of the picture. The bar release gate to the footpath. 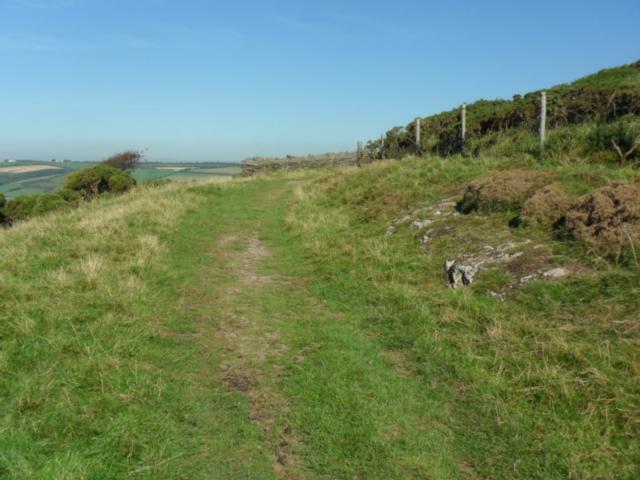 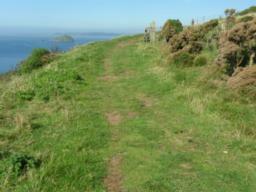 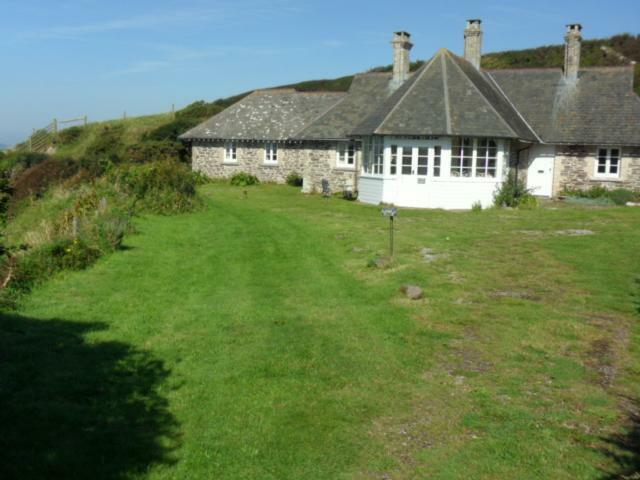 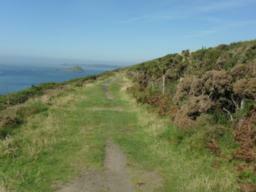 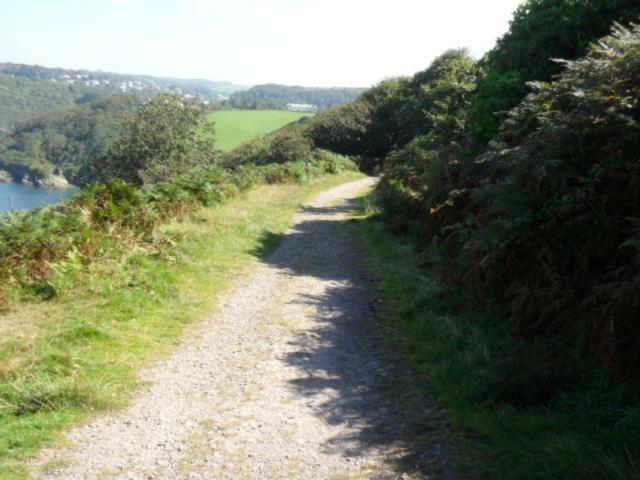 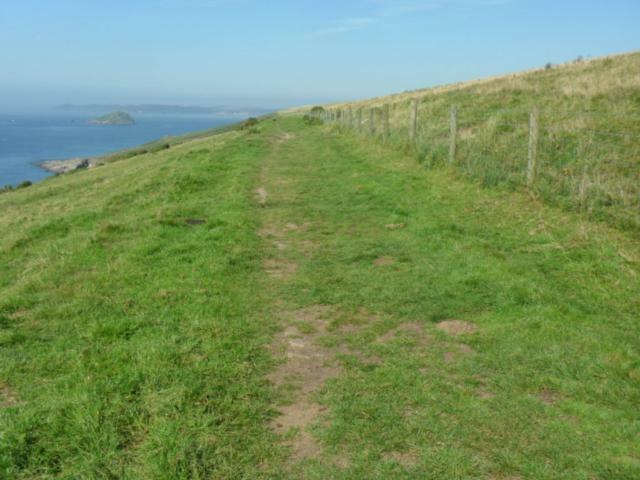 The flat rolled stone path leads towards the sea and the South West Coast Path. 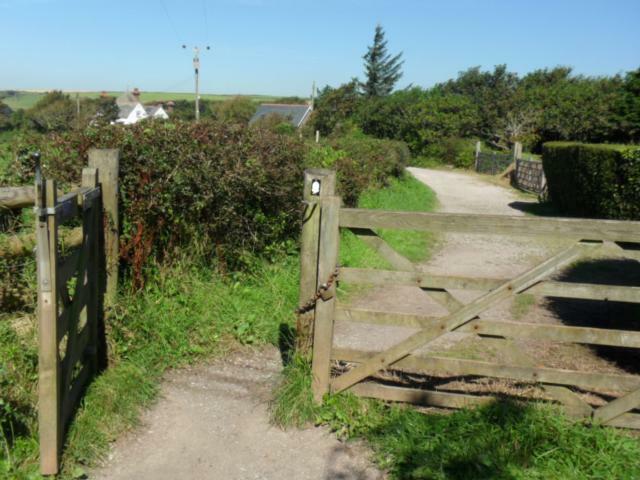 A 5 bar hook and eye gate leads on to the Coast Path. 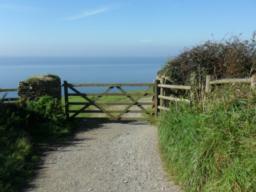 Turn right on to the Coast Path. 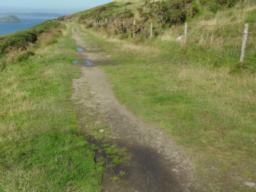 The path was muddy but not impassable after recent rainy weather. 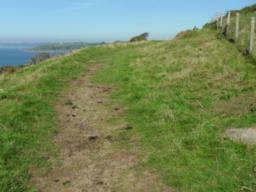 Cows were grazing freely. 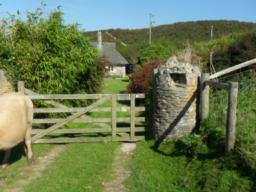 Another 5 bar gate into the grounds of Warren Cottage. 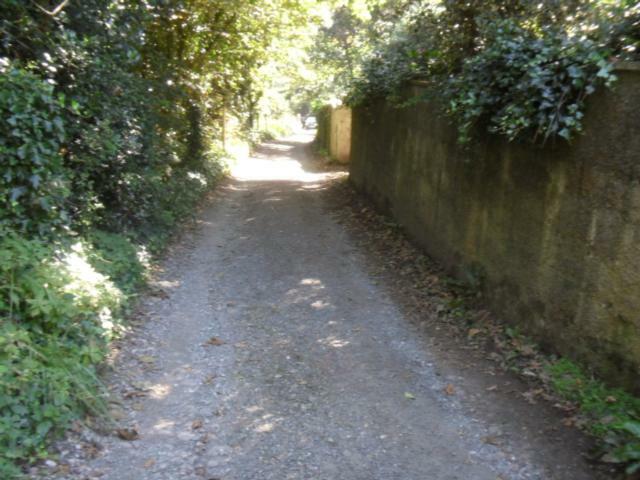 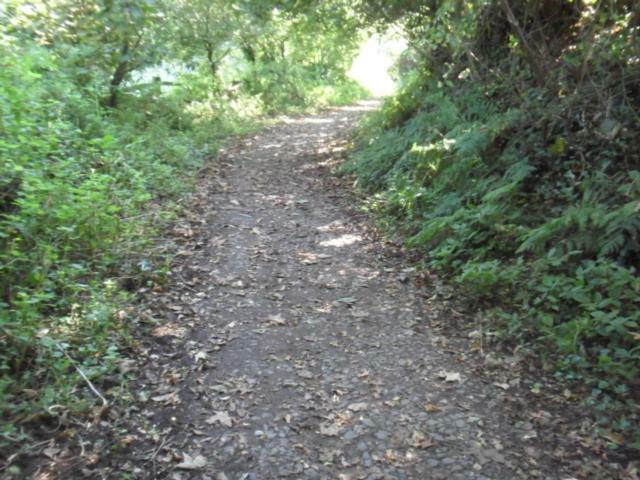 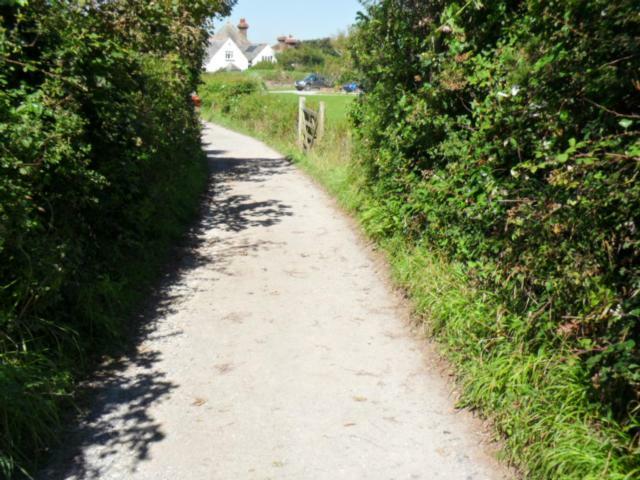 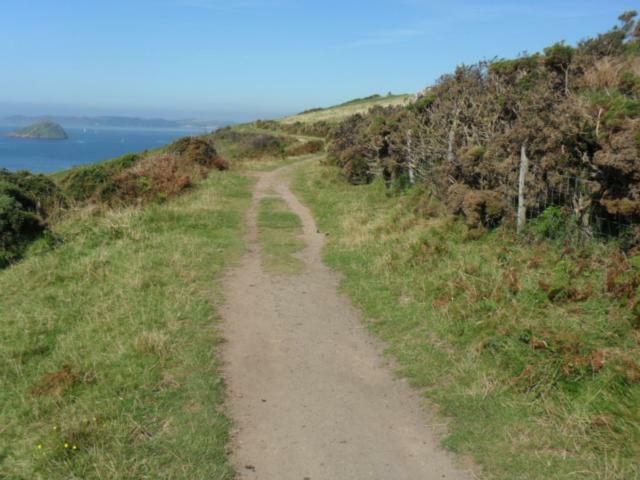 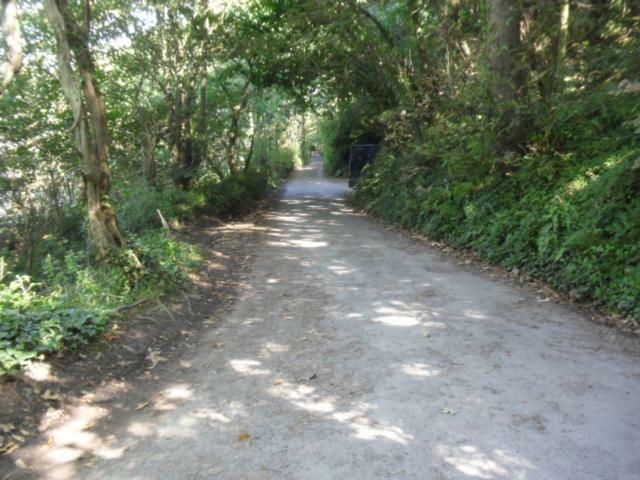 There is an alternative narrow, rough, bumpy path bypassing the cottage on the seaward side. 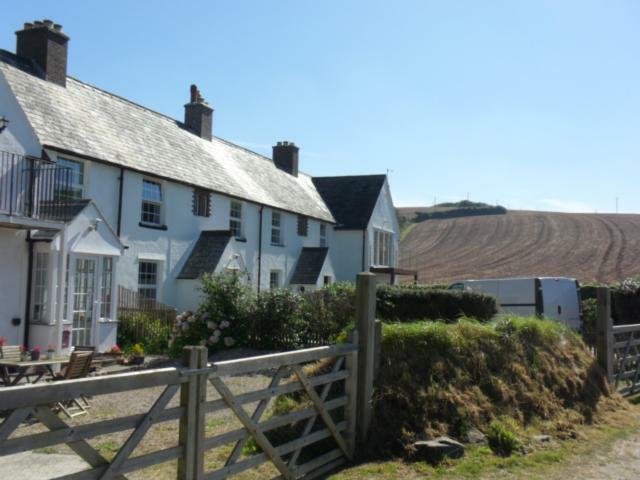 The Coast Path goes through the grounds of the cottage. Another 5 bar gate before you leave the grounds of the cottage. 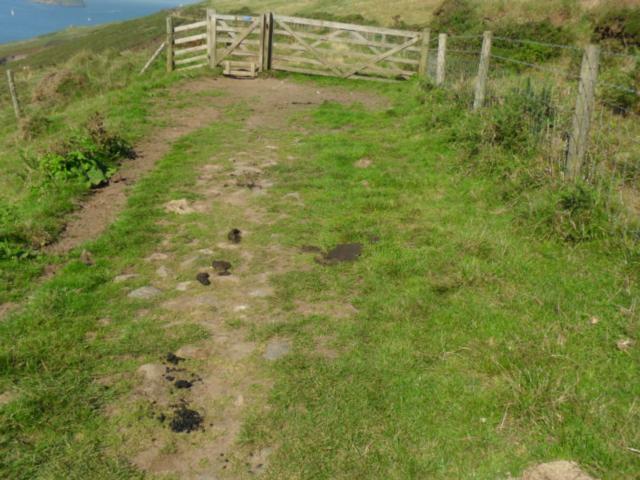 When we walked this route, we had to lift the corner of the gate up to open it. 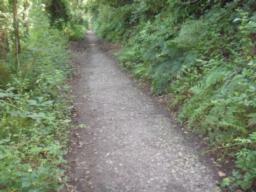 The flat path is undulating and bumpy for short stretches. 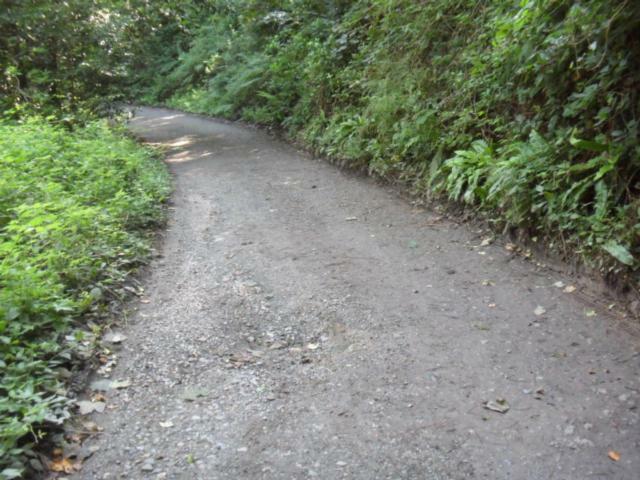 There are occasional larger surface stones. The path is now grassy but at least 4 metres wide. 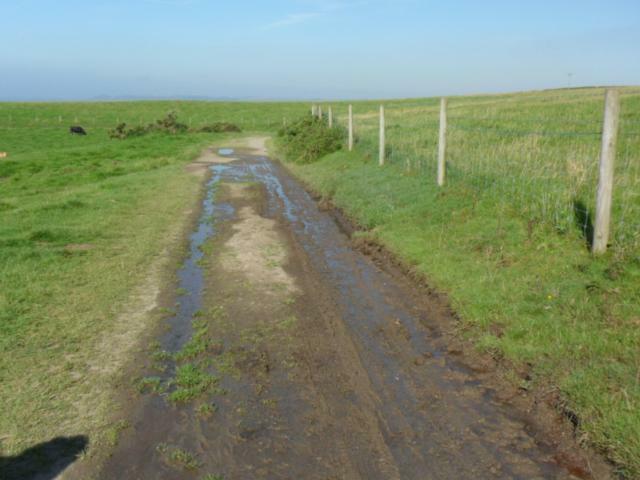 On the survey day, after recent rain, water was occasionally draining from higher ground across the path. A 5 bar gate with 1.5 metre side gate on the seaward side. 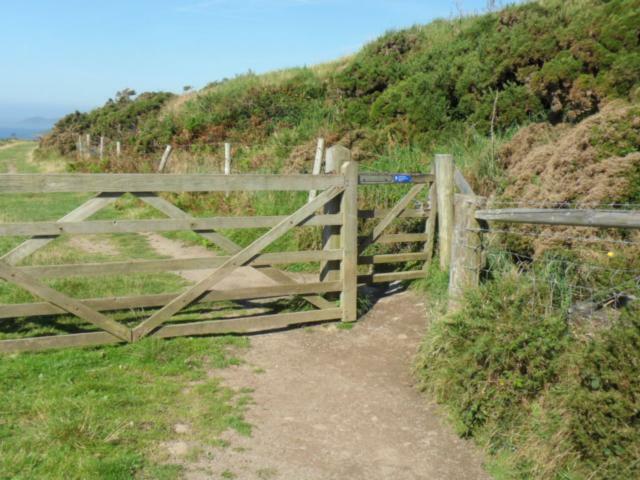 5 bar gate with 1.5 metre side gate on the landward side. The path becomes rough and uneven. 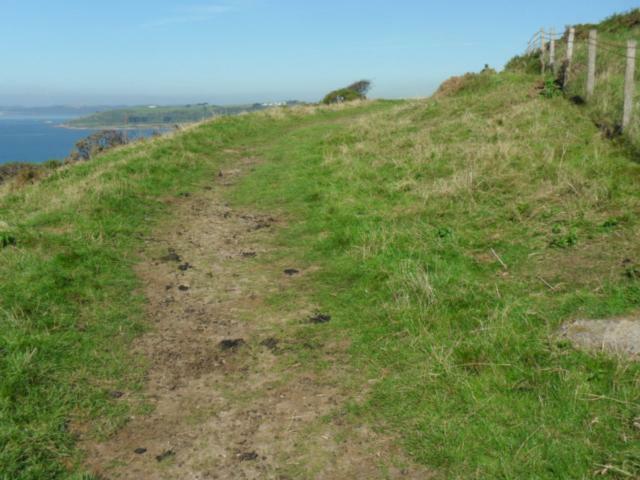 In places the path becomes uneven and rough. 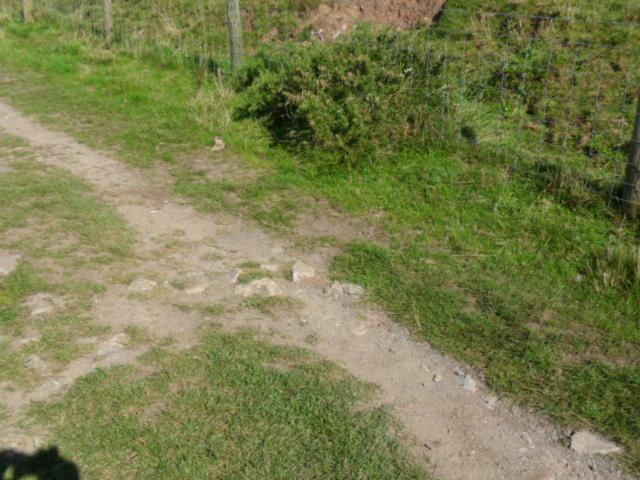 Large rocks and bricks break through the surface. With care, you can manoeuvre around the edge of the main path. A bench looking out to sea. 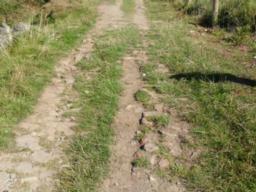 In places the surface is rough and uneven with large stones breaking the surface. A gradient of 8.3% (1:12) for 25 metres. 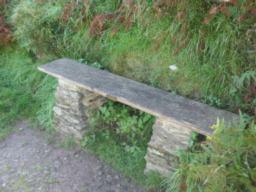 The wooden bench on stone pillars allowed sea facing views. The 5% (1:20) gradient lead downhill running parallel to the river mouth. 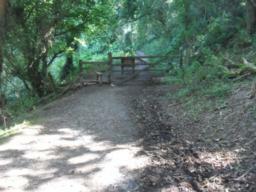 The path passes through Brakehill Plantation. 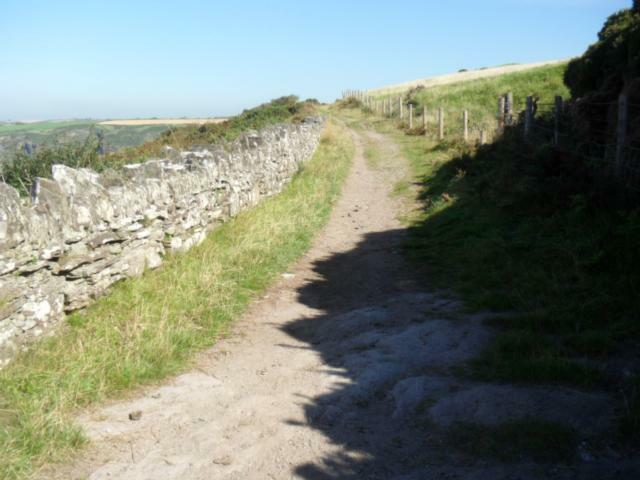 Again there are small stretches of compacted stone creating an uneven surface. 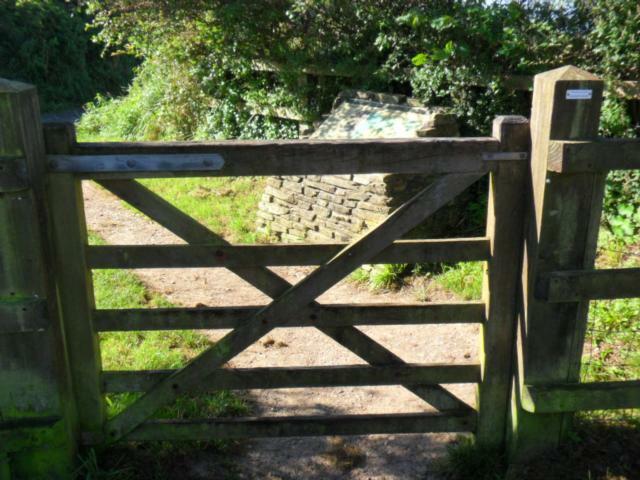 A single step stile and a 5 bar gate. 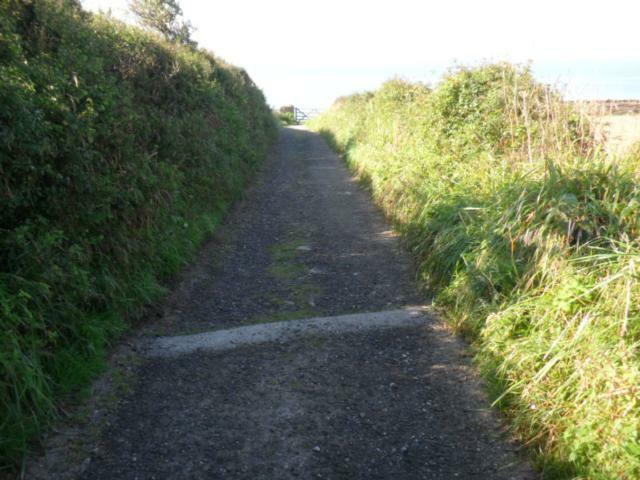 The path continues towards the coastguard cottages. 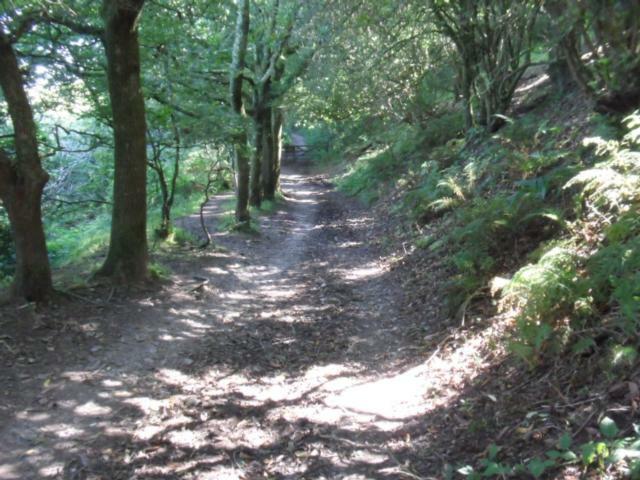 There is a continuous gradient of 3.3% (1:30)through the plantation and woodland. The 3metre 5 bar gate was padlocked when we surveyed this route. 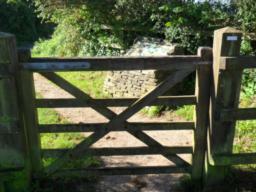 The 1.5 metre side gate was opened back. 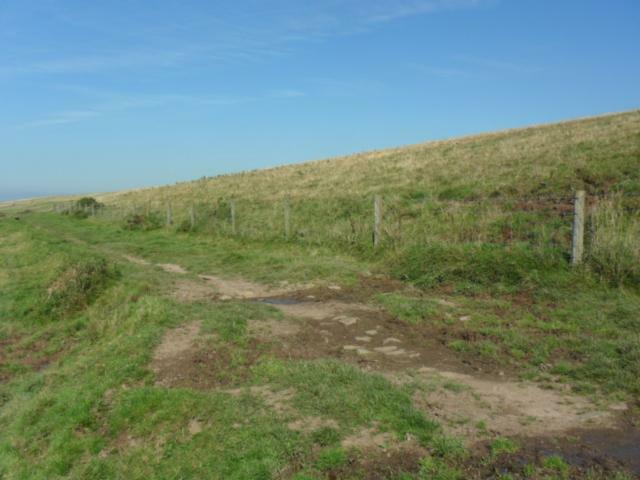 The rolled stone surface is flat and at least 2.5 metres wide. Here the surface is rough and uneven with large stones breaking through the surface. The gradient by Cellars' House is 1:15 for about 25 metres. Walking through Passage Wood, the tree cover occasionally allows some spectacular views of the river. 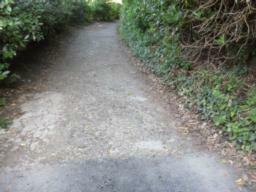 The flat rolled stone path is never less then 2.5 metres wide. There is a gradient of 4% (1:25) as the path follows above the river. 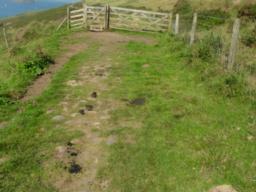 The small car park at the end of this walk. 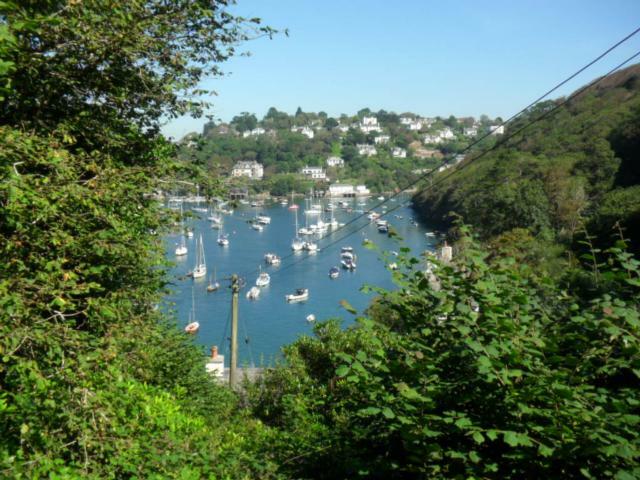 The road leads down to the riverside village of Noss Mayo. Toilets and refreshments are available in the village.